By the time ornithologist Robert Porter Allen was born in 1905, the whooping crane was already in trouble. Hunting and habitat loss had reduced the bird’s numbers, even though the species was once found across North America, according to the Florida Fish and Wildlife Commission. By 1941, when conservationists became concerned about the species, the whooping crane population had dwindled to the double digits. The white-feathered birds, the tallest species in North America, were critically endangered. But thanks to Allen’s obsessive research and the concern of the conservation community, today the whooping crane—while still an endangered species—has a population in the hundreds, rather than the tens. In the ’40s, the remaining flock of cranes migrated every year from the Gulf Coast of Texas to somewhere in the north of Canada to breed. The conservation community didn’t know where the birds went - the wetlands where they wintered were growing scarcer and scarcer as they were drained and built on, while the birds were dying in large numbers on the migration flight. A tiny, non-migrating group of whooping cranes was alive in Louisiana in 1941, but the group had disappeared by the time Allen started his research. Before the war, Allen had done important work for Audubon on the roseate spoonbill, so he was put on the whooping crane project, moving with his family to a small town on the Gulf Coast, writes Alexander Sprunt IV in The Auk. “Over the next three years, he did almost constant field work that took him from Texas up the cranes’ migration route to Nebraska, on into Saskatchewan, and beyond into the arctic in search of the elusive nesting ground of the whoopers,” writes Sprunt. Studying the bird in its breeding habitat and seeing how many birds were born would allow conservationists to understand how to help the birds on their journey. But finding the whooping crane’s nesting site meant “difficult and fruitless air searches over northern Canada,” Sprunt writes. In 1952, Allen authored Audubon’s report on the whooping crane. The definitive report was a call to arms for the conservation community. Among its grim findings: only 33 migratory “whoopers” remained, and their nesting site still hadn’t been found. Then in 1954, the whooping crane’s breeding grounds in Canada’s Wood Buffalo National Park were finally discovered, and Allen headed north to study them firsthand, an “incredibly difficult journey,” in Sprunt’s words. 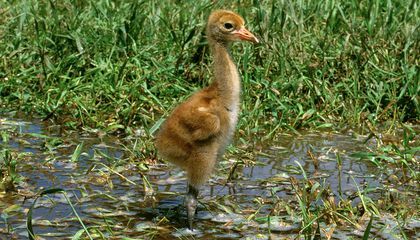 Allen wrote a followup to his whooping crane report that laid the groundwork for conservationists to save the bird. “Their efforts paid off slowly as the numbers reached 57 by 1970 and 214 by 2005,” writes the National Wildlife Federation. Today, the whooping crane is still listed as endangered, but as of 2017 there are roughly 600 birds alive in the wild and in captivity. Almost half that number, according to Rick Callahan for IndyStar, are part of the migratory colony Allen studied. 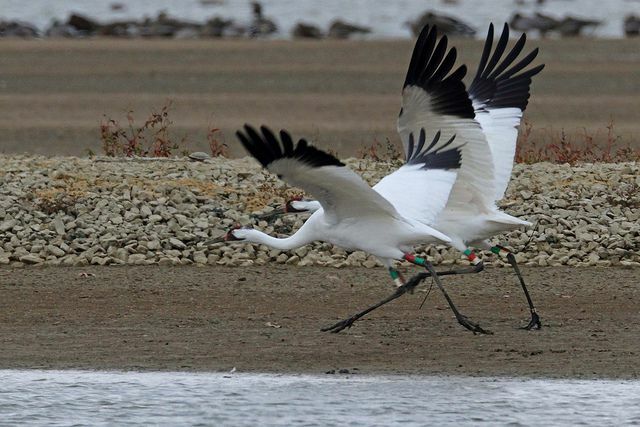 Despite a population rebound, why should we still be concerned about the whooping crane? What could be done to ensure that they don't become extinct? We should stop destroying their habitats and start doing something about them.